Time: Novice meet 9 am. Open meet not before 1.30 pm. 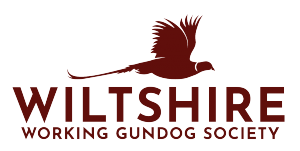 Entries and fees : made payable to Wiltshire Working Gundog Society and sent to Howard Feltham, Ford Oak Farm, Mere Wiltshire BA126BD. Please provide your email address in order to receive a copy of the draw. Volunteers needed. Please e-mail Howard at fordoakfarm@ Hotmail.co.uk or call 01747 860712. Raffle prizes would be much appreciated. The running order will be confirmed by email, unless you wish it to be sent by post. If you would rather be notified by post, please provide a self-addressed envelope.